This tutorial walks you through how one artist developed his concept for a “crossbow archer.” He starts with his idea, he shows his sketches, and he walks you through everything from form to color palette, to putting it all together at the end. If you want to see how another artist takes a concept through to completion, this is a great video for you. This video is another look at the character design process. How do you create characters when you don’t have much to go on? If your client hasn’t given you much background or ideas to work with, how do you even begin designing a character? This video from YouTuber CG Cookie Concept shows you how to design a character when your client knows what they want. The character featured in the video was designed for a highly stylized world–sometimes designing a character when the theme is set in stone can be just as challenging as not having anything to work from. This video can help get you started. Didn’t know what Turnaround sheet was? No problem, here’s another tutorial to help you understand the how-to behind the sheet. Turnaround sheets are important if you’re going to be free-hand drawing characters over and over from different angles and positions. You want to make sure they look like the same character every time! We haven’t met a person who doesn’t appreciate at least one Pixar film (if not, you know, all of them). This post on character design from the talented folks at Pixar gives you an inside look into their character creation process. Curious about what other artists are doing? Looking for feedback on your own designs? Have questions about the process or the craft? Looking for inspiration or collaboration opportunities? Look no further than the Character Designs forum on Reddit. This video from JelArts showcases 6 tips and tricks that you can use to help you design characters. She’s pulled these tips from some online courses she watched in an effort to improve her own character design efforts. The video is quick and worth the watch. Nothing will help you get better at character design than designing characters (like, every day). So here’s another video showing you how yet another artist builds characters from scratch. Flexing that creativity muscles will make it grow stronger, and that means even cooler characters in your future work. YouTuber Istebrak hosts character design challenges on her YouTube account. She’ll give you parameters, and you need to design a character that fits within them. Then you can submit the characters you want critiqued. She spends about an hour going over the submissions, talking about how well you matched the provided brief and critiquing you on your design. Submitting would be most beneficial, but simply watching to see what other artists create and how she critiques them would be helpful too. 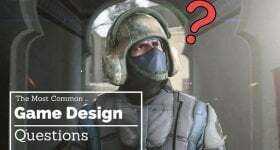 We bring YouTuber Jazza back into the fold to go over tips and best practices for designing outfits and costumes for your characters. He talks about design focal points, color choices and what they can mean, and more. Looking for five quick tips to get you started with your level designing? YouTuber Sykoo gives his top five tips for designing levels using Unity (which is what he uses in his videos). He recommends using Unity for level design because it looks good and it performs well. If you watched the above video, you probably saw this coming. YouTuber Sykoo has an hour-long level design tutorial, which is separate from his “top 5 tips” video. As we mentioned, Sykoo prefers Unity. If you’re looking for extra help with designing a level in Unity 5, this video is a great resource. Ever wonder how the big companies do it? This YouTube video from the official Ubisoft channel will give you a glimpse into their level design process. It’s a short video, but if you pay attention there are some valuable level design nuggets in there that you can incorporate into your own work. Psychoduck is easy to listen to and he knows his stuff. This video from the official Unreal Engine YouTube channel provides an intro to level design using UE. Jim Brown, the senior designer, shows you tips and tricks using the then-new UE4 toolset. Once you know your way around the Unreal Engine, you can hop over to this landscape training video. It’s close to two hours of design walkthrough and advice from Andrew Hurley, an Engine Support Technician. This video is also hosted by the official Unreal Engine YouTube Channel. One more, for good measure. Landscapes made in Unreal can look so dang beautiful. YouTuber Quixel designed a forest landscape in an afternoon. He’s edited that process down to just 53 minutes, and he walks you through his design process, starting from the plan and ending with a nice forest path. The GDC hosted Brendon Chung, the owner of Blendo Games, at GDC 2015. His 30 minute talk was all about using level design as a way to tell stories and guide the player through the game. It highlights the importance of recognizing the bigger role of level design, and how it fits into the overall framework of a game. We’ve looked at a lot of videos that show how to plan levels, how to design them and populate them, and how to use them to tell stories–but what about “nothing?” This video, also from a GDC session, features Jim Brown from Epic. He talks about new ways to think about negative space and the role it has in level design. This video from BenderWaffles gives you five quick tips to help you with your map and level design. Get ready to go outside! If you’ve never designed a game before, then watch this video before you do anything else. It addresses some of the biggest problems beginning game designers face. It’s actionable, helpful, and it only takes five minutes to watch. There are other videos in this sequence from the same YouTube Channel, Extra Credits. Watch them all to set yourself up for success! This video from PAX South 2016 features two panelists, Brandon “Rym” DeCoster and Scott Rubin, both of GeekNights. 23. What Makes Great Games Great? Curtiss Murphy is a software developer at MobilityWare, and he makes Solitaire games (yes, just Solitaire games). This video looks at “the basics of game design and explains the science of deep engagement, also known as Flow (by Mihaly Csikszentmihalyi). This video from YouTuber Brackeys walks you through designing a game in Unity. It’s intended for beginners, and starts at the very beginning. As in, Brackeys shows you how to install Unity and start a new project. There are more videos in the series, so you can take it one digestible lesson at a time. Want to learn what to avoid? And not only that, but how to break these bad habits? Check out this video on the RealTutsGML channel to make sure you’re avoiding these mistakes. As you acquire the skills and knowledge you need to put your own game together, it’s worth hearing a variety of opinions from developers and gamers alike on what makes a good game. This “tips for developers” video from YouTuber UnfairReviews offers some helpful hints and things to keep in mind as you develop and design games. This video comes from YouTuber snomaN Gaming and features the “building blocks” of good boss fights. Some boss fights are certainly better than others…what sets them apart? What are you doing these next 12 months? A year is a long time. 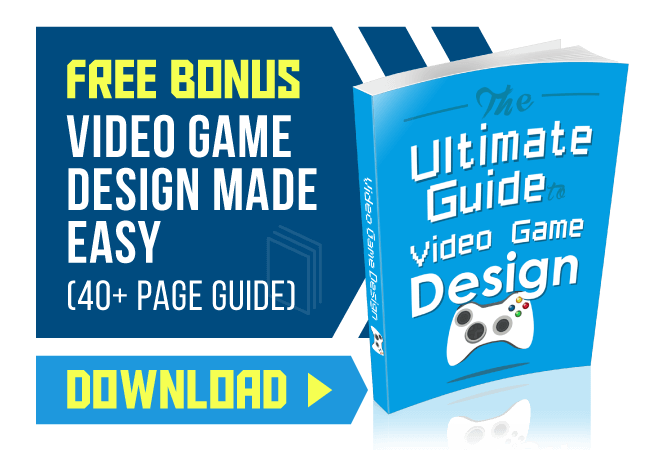 With the help of this video, you could make and self-publish your own game in that time. SomaSim’s Matthew Viglione did just that, and he spends a half hour talking about his path in this GDC 2015 talk. Here’s another video by YouTuber snomaN Gaming talks about the exciting innovations he’s seen so far in game design 2017. We figured we’d close the game design section by opening your mind to new possibilities! Is this your first time writing a story for a game? 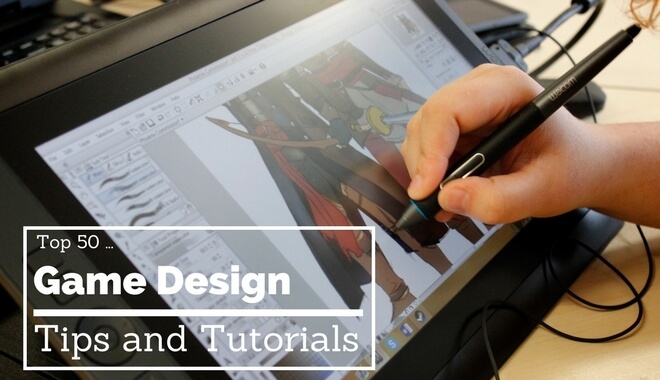 These three tips from RPG Maker might make getting started just a bit easier for you. Stories can be tricky–there’s a lot to keep track of. Planning and adapting can help, and these tips will show you how. Ever wonder why so many games tell such bad stories? We’ve all played a game where the story just…stunk. This video from the Extra Credits YouTube Channel dives into bad writing, answering this game design mystery. Sometimes, you need to know what not to do in order to do something well. There’s no “definitive answer” for how to start a game narrative. But there are tips and best practices. We turn once again to the Extra Credits YouTube channel for a help. This five-minute video walks you through the inextricable link between game story and gameplay. Hearing how other game writers think about story and go about writing stories for games can be really helpful, no matter where you are in your writing career. Sometimes you’ll feel stuck, sometimes you’ll feel stale–hearing some fresh points of view can help free you from those funks, and that’s what you’ll get in this video: fresh perspective. RPGs can become especially complicated, especially when they take a non-linear approach that you don’t typically see in FPS campaigns, for example. If you’re looking to write a great story for a role-playing game, this video series from 7DSystem could help. Text-based games are a great way to practice your storytelling. Twine is an open-source game design tool for text-based games. It’s an excellent tool for practicing weaving story threads and keeping the narrative intact as players make different choices in your game. Since it’s text-based, you get the benefit of not worrying about visual assets or gameplay, and get to tell the best version of your story. The official TED-Ed YouTube channel has this lesson from Kate Messner on building fictional worlds. Designing video games is like building a world, just as with movies or books. Immersion comes from a cohesive, compelling, and enchanting world. Learning to build that world will help with your storytelling, and answer some questions about your character motivations before you even have them. Mark Crilley has YouTube videos designed to help you create books, comics, and more. And while those aren’t “video games”, the storytelling parallels between the two mediums warrant this video’s inclusion. This video features 10 tips that can really help you become a better writer, and a better game designer. Mark Crilley comes through again. Sometimes you just get stuck at the beginning, and that’s one of the worst places to get stuck (an object at rest stays at rest, am I right?!). This YouTube Video from Mark gives you 10 methods you can use to generate new story ideas. Never be stuck at the beginning again! “Dom, I need more ammo!” Ah, such good memories from the original Gears of War. Adam Sessler interviewed Tom Bissell, a co-writer on Gears of War: Judgement and a game critic. The interview covers “Writing Gears and the Problem with Video Game Storytelling.” Want to hear how AAA games have their stories written? Give this interview a watch. Ever wonder what Shigeru Miyamoto’s design philosophy was? How he was able to have a hand in hit game after hit game? This video interview will give you some answers. This interview touches on story, immersiveness, and more game elements. It’s worth a look. David Cage has been in the business of writing and directing games for close to 20 years. Two of his most well-received games are Heavy Rain and Beyond: Two Souls. In an interview with BBC, he gives 10 tips you can use to become a game designer. You’ll hear about why you should be playing games, when to trust your instincts, and more. Edmund McMillen, known for his work on Super Meat Boy (as well as other games), knows what it takes to make great games. He admits that he knows he’s “not perfect and [he’s] sure as the years go by this list will change. But from where [he stands] right now, having made independent art/games for a living for the past 10 years, the advice below is crucial to all indie game designers, and all artists for that matter.” If that doesn’t convince you to give it a look, nothing we say will! Give it a look! Rick Davidson is a career coach who spent time as an Indie Game Developer. This short video is designed to get you motivated to finish developing your game. Or, if you haven’t started yet, this video will convince you to start! It’s a quick watch, but sometimes the swift kicks in the rear are best. Rob Pardo spoke at MIT in 2014, giving a presentation on Blizzard’s core design values. Pardo also spends time talking about how to appeal to bigger markets. All of it won’t apply to you right now, but some, like “gameplay first”, will. How did Todd Howard, one of the masterminds behind recent installments in The Elder Scrolls and Fallout franchises, get into the video game industry? This video interview with Game Informer answered that question. If you’re looking for a path into the industry, or you want to take a peek into Todd Howard’s head, this video is worth the watch. YouTube channel Extra Credits is back in the house, this time exploring career advice for game designers. The video was uploaded 5 years ago, but the advice is still sound. What should you learn if you want to be a game designer? Their answer: everything. You won’t have time to learn everything–no one will. So watch the video for tips on how to deal with that, and for strategies to pursue your game design dream. Games are all about having fun (except for maybe the Dark Souls franchise). Sometimes fun can be elusive. Sometimes you lose sight of fun as you get bogged down by other details, or hung up on the wrong elements of your game. Ian Bogost has some advice for you. We won’t spoil his secret, but we will recommend that you watch his video on the secret to fun. You can make games. It’s right in the title of this video, and it’s important for you to hear it. This video gives you the skinny on what the indie developer industry looked like about 5 years ago. It’s continued to grow since then, but this video is worth a watch. We’re going to leave you with a torrent of advice from a ton of top game creators. Now, the good people at IGN put this video together about eight years ago, so keep that in mind as you hear some of this advice. Technology moves so fast these days, and that will have an impact on the game industry, those already in it, and those aspiring to join it. Good luck.